Though apartment hunting can be frustrating, there are deals to be had. So what does the low-end pricing on a rental in the Upper East Side look like these days--and what might you get for the price? According to Walk Score's assessment, the neighborhood is extremely walkable, is quite bikeable and boasts excellent transit options. It also features median rents for a 1-bedroom that hover around $2,600, compared to a $2,900 average for New York City as a whole. Listed at $1,604 / month, this studio apartment, located at 506 East 82nd St., is 33.2 percent less than the $2,400 / month median rent for a studio in the Upper East Side. In the unit, you can expect hardwood floors, closet space, wooden cabinets and an oven. Pets are not welcome. This studio apartment, situated at 190 E 93rd St., is listed for $1,650 / month. In the unit, expect hardwood floors, a balcony, closet space and high ceilings. If you've got a pet, you'll be happy to learn that cats and dogs are welcome. Here's a studio apartment at 210 E 67th St., which is also going for $1,650 / month. In the unit, you're promised white vinyl floors, a walk-in closet, three large windows, an oven and a refrigerator. Pets are not permitted. 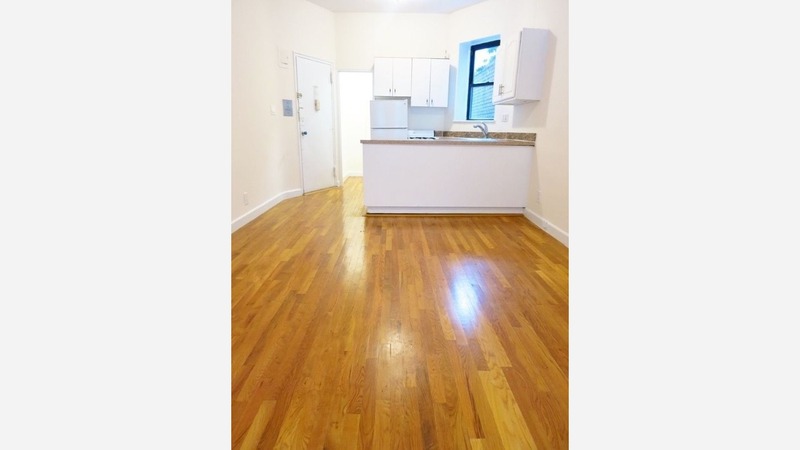 Then there's this studio at 539 E 78th St., listed at $1,668 / month. In the apartment, tenants can expect to find parquet floors, high ceilings, ample natural light and an oven. Pet lovers are in luck: cats and dogs are welcome. Listed at $1,690 / month, this studio apartment is located at 1598 3rd Ave. Tenants can expect to find hardwood floors, a ceiling fan, large windows, closet space and wooden cabinets. Neither cats nor dogs are welcome. This studio apartment, situated at 1670 York Ave., is listed for $1,695 / month. In the unit, you're promised hardwood floors, exposed brick, high ceilings and an oven. For those with furry friends in tow, know that cats and dogs are welcome on this property. And here's a studio apartment at 1480 York Ave., which is also going for $1,695 / month. In the unit, you'll find parquet floors, wooden cabinets and granite countertops. Building amenities include on-site management. Both cats and dogs are welcome. Over at 509 E 78th St., there's this studio apartment, going for $1,696 / month. In the unit, the listing promises hardwood floors, granite countertops, wooden cabinets, a breakfast bar and ample natural light. Building amenities include on-site laundry, an elevator and on-site management. If you've got a pet, you'll be happy to learn that cats and dogs are permitted. Listed at $1,699 / month, this studio apartment is located at 188 E 93rd St. In the unit, you're promised high ceilings, hardwood floors, stainless steel appliances, a dishwasher and granite countertops. Pets are not welcome. Finally, there's this studio apartment at 1596 3rd Ave. that's also being listed for $1,699 / month. In the unit, look for hardwood floors, wooden cabinets, granite countertops, a kitchen island and high ceilings. Good news for animal lovers: both dogs and cats are permitted here.